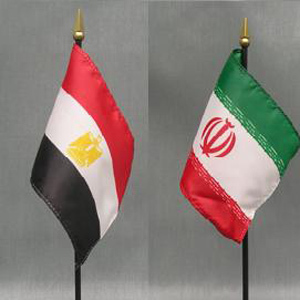 Posted by thegulfblog.com in Egypt, Iran. Regular direct flights are to be resumed between Iran and Egypt for the first time in 30 years. As the LA Times eloquently notes, this is to some a surprising decision. Iran clearly seeks any opportunity to eschew the notion that they are isolated by American pressure. They are, therefore, willing to overlook Egypt’s Israeli peace treaty and other significant policy differences in order to make such a strong symbolic statement with the Arab world’s most populace country. This is not the first time that Iran’s rhetoric has been subjugated to the exigencies of necessity. During the Iran-Iraq war, Iran and Israel had a strategic alliance as they were untied by their fear and mistrust of Iraq. Despite government-led and fostered anti-Semitism, Iran traded spare parts for their armed forces for oil with the ‘evil Zionists’. The Egyptian half of this is, as far as I see it, more convoluted. The LA Times notes that the agreement came shortly after Egyptian businessman Rami Lakah signed a $1.37 billion deal with Iran’s Kish Airlines. Yet even were this agreement to lead to a wider boost for trade and business, which it surely will, this seems like a small gain given that the price is normalizing relations with a country that celebrates the assassin of Egypt’s former leader, Anwar Sadat. Moreover, what will the Americans think of this deal? The Egyptian economy and state security more generally is significantly bankrolled by American support and Washington will not be pleased to see this softening line.